The bishop was referring to all the Christian faithful who have worshipped at the site for three centuries. Back when New York still had a large Dutch population, what is now Williamsburg was considered the heart of Dutch Brooklyn, known at the Het Drop. In 1711, the Reformed Dutch Church was built at the site of the present-day St. Francis of Paola Church. It was the anchor of the Het Drop. In 1829, the church was replaced by a larger wooden church, the Bushwick Reformed Dutch Church, which would become known as the “Church on the Hill” by the locals. As the Dutch population more or less disappeared by the 20th century, the Church fell into disuse. At the same time, in 1903, the Williamsburg Bridge first opened, which brought many Italians from Manhattan to Brooklyn. They were escaping the dismal conditions of the disease-ridden Lower East Side tenements. As they moved to Brooklyn looking for safer accommodations, they kept their faith and wanted to worship God in church, but Catholic churches in the area did not welcome them. Bishop Massa explained that from 1818 to 1921, the U.S. opened its gate to immigration and many Italians came here, ready to work to the bone. They dreamed of making enough money to buy a little land in Italy for themselves or their family. Bishop Massa explained that about half of the Italian immigration at the time could not read or write and the majority were men. They were discriminated against because of their skin tone, food, culture, self-expression and even their religious expressions. 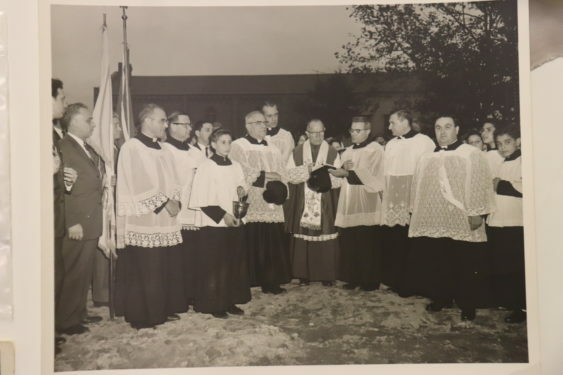 Bishop Charles McDonnell, the second Bishop of Brooklyn, wanted to give these Italian Catholics a safe place to worship and be in communion with each other and God. So, he purchased the property of the old Church on the Hill and dedicated it as an Italian National parish, meaning it was meant for any Italian Catholic wishing to worship and not defined by physical boundaries. It is in St. Francis of Paola where Italian parents prayed during World War II for the safe return of their children who fought against the Axis Powers with the U.S. military, and at the same time, feared for their children’s safety upon their return because of the great discrimination against Italian-Americans for Italy’s allegiance in the war. 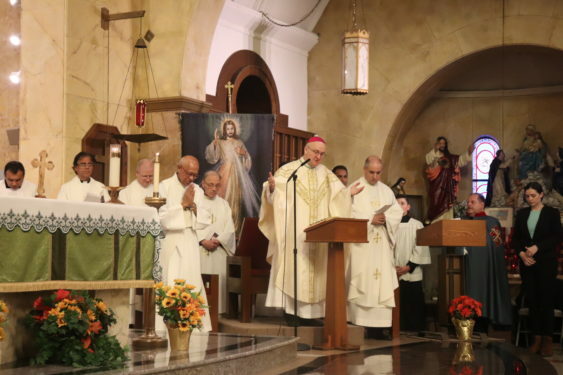 Openness is what defines the church said Father Thomas Vassalotti, the current pastor of Divine Mercy parish, of which St. Francis Paola is now a worship site. “Those who were not welcome elsewhere were welcomed here,” he said, and that continues to this day. This year, St. Francis of Paola Church extended the hours when the sanctuary is open for all during the morning and afternoon hours of the weekdays. “What a great joy it is for me to enter the church during those times to witness a great diversity of people – people employed in local businesses, mothers with infants in baby carriages, young people new to the neighborhood and even people of many different faiths – sitting quietly and praying to God for their needs, their loved ones and for our troubled world,” Father Vassalotti wrote in a letter published in the anniversary journal. Diversity is one of the great gifts from the merger of the three local parishes to one Divine Mercy parish said lifelong parishioner and parish council member Angela Scotti. As people from all three churches feel freer to go to Mass and other celebrations in the different worship sites, a new breath comes to the parish. “Everyone brings something to the table,” she said. Although the parish has been merged since 2011, St. Frances of Paola has been able to maintain its own culture and traditions. 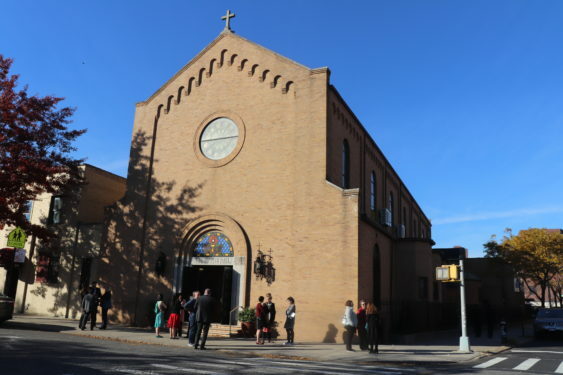 It still offers three weekend Masses, including a bilingual one, and, more importantly, it allows people to continue the faith traditions that have been important to them for centuries in Italy and for generations in Williamsburg. 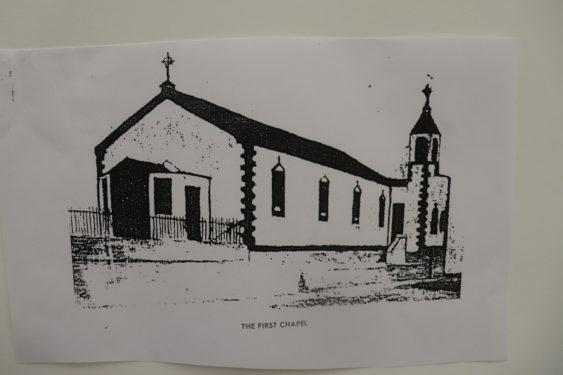 Annette Marino, also on the parish council, said her family was among those welcomed to the parish in the beginning of the 20th century. 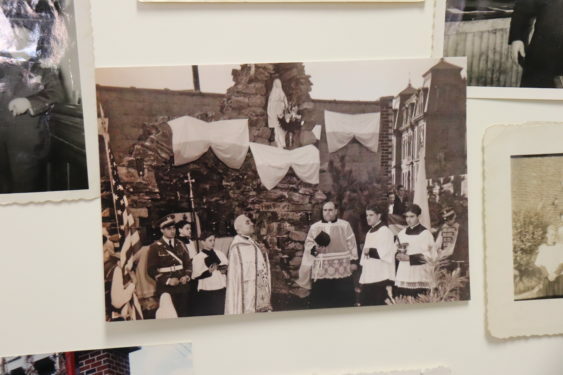 Her great-grandparents were thankful to be able to participate in the parish processions and feast days from the towns they came from in the old country. One of those feasts still celebrated today in the parish, originating in Sanza, Italy, is Our Lady of Snows. But, Marino said, St. Francis of Paola is more than just a place to adhere to old traditions. It is where people feel they belong and can have a strong sense of self. The communities in the parish help with that, she said. She is part of the St. Theresa Guild, an 85-year-old women’s society which helps the church with fundraisers. She said the women have such a strong sense of community and love for each other that it continually attracts new generations. The group has members who range in age from their 20s to their 90s and many daughters have followed their mothers in the service. But the groups are not cliques. The people in the church all make it a point to know everyone else and their families. Everyone looks out for each other and views each other as part of the same family. Marino has been in the parish her whole life, just like her parents, grandparents and great-grandparents. Her own children come to the church. Being part of the parish is being part of a greater good. “I feel like it’s what I’m supposed to be doing,” she said. The descriptor of “home” feels at times literal for Rose DeMarino, a parishioner for 75 years, who is also part of the St. Theresa Guild. She lives just across the street from the church and is there so often she just feels it to be an extension of her own home. “I just like to help,” she said with a wide and warm smile that seemed to never leave her face so long as she spoke about the church. Her love of the church began when she was just six years old and her family moved into the area. She felt so good at the church and with the Franciscan Capuchin Sisters of the Infant Jesus that she joined all the groups she could, including the junior society of St. Mary and the junior choir. It was not her parents pushing her; she just could not stay away from the church. She did not attend the parish school because it was not established yet. She did, however, meet her husband at the parish. He invited her to join him for a movie for which they both had free tickets to attend. She found the proposition a little humorous, but joined him anyway and they fell in love. 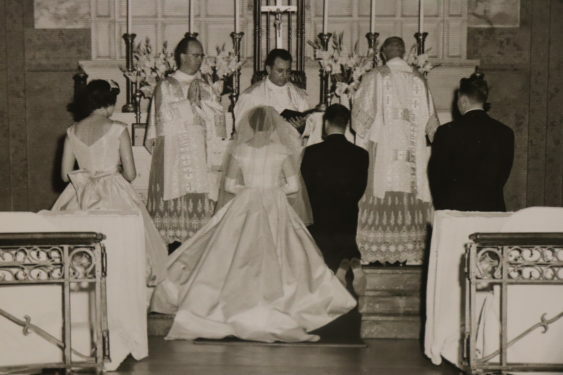 Their marriage, of course, took place at St. Francis of Paola, in more ways than one. It is where they pronounced their vows and it is also where they lived them out. “We did everything together,” DeMarino said of her late husband. They both were very active in the church and supported each other in their efforts. Their three daughters went to the school ran by the Capuchin Sisters which was in operation from 1961 until 1991. The former school building is now on lease to a preschool for disabled children and is still church property. During the anniversary Mass, Bishop Massa was clear, not just about the past but also about the present and the future. “We love you and we will be back here in another 100 years,” he said. 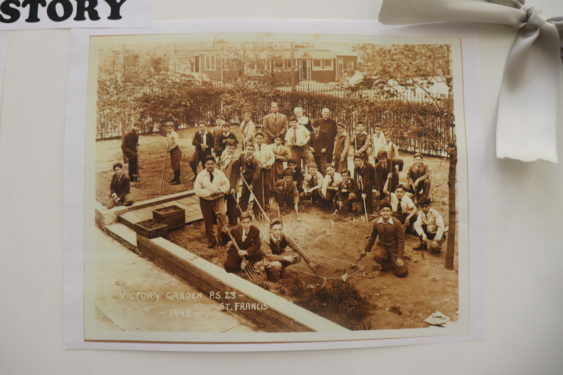 My people, who came to Williamsburg from Pescopagano, Italy, established a Societa’ Operaia San Francesco di Paola of Brooklyn, NY, in the year 1901. St Francif of Paola is the Patron Saint of Pescopagano, Potenza. I am writing a book about the Pescopaganesi in America and soul welcome any info about them.